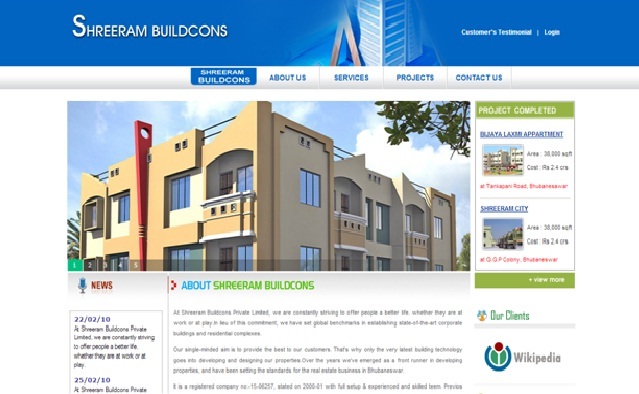 Shreeram Buildcons is a fast track real estate and construction company located at the temple city Bhubaneswar, Odisha. This company is a registered company started in the year 2001 with dedicated and experienced professionals to provide affordable housing projects like Lands, Buildings, Simplex, Duplex, Apartments, and Commercial Complexes in the best locations of the State. This company is committed to give 24x7 customers support and satisfaction. This company also provides easy home loans to their esteemed customers with the help of leading banks. The Directors of this company are Suresk Kumar Patel, Manshrukh Lal Patel and Mr. R. C. Lal.